The football World Cup has almost passed from memory. 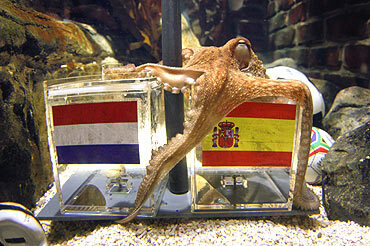 One question remains: Will Paul The Octopus retire after his meteoric rise as the foremost diviner in the world? The English-born cephalopod mollusk presently resides in a Sea Life aquarium in Oberhausen, Germany. After correctly predicting the winner of the World Cup, he apparently received some death threats. Being highly intelligent, like all octopuses, he will probably lie low for some time. The proverb says 'none is a prophet in his own country.' In Germany, Paul could prove this saying wrong. He could advise Chancellor Angela Merkel on which economic direction to take the country if she wants to win the next election. Though Christian Wulff, a Merkel supporter, was recently elected German president, what should have been a mere formality, given Merkel's large majority in the German parliament, turned out to be an extremely painful process. But what strategies? This is where Paul's skills could certainly be valuable. 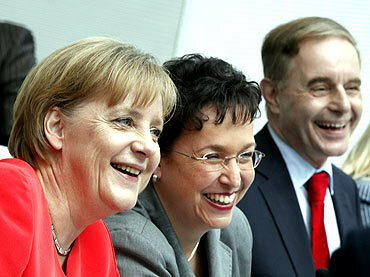 Without proper advice Angela Merkel is bound to lose the next election. Next door, in Belgium, Paul's services are needed too. Belgium recently assumed the presidency of the European Union for the next six months, but the bilingual nation still has no government. 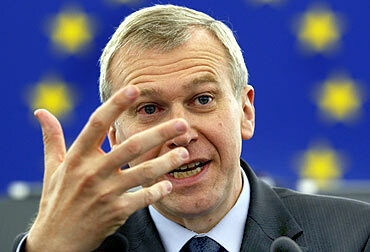 Outgoing Prime Minister Yves Leterme will run the European Union as an acting PM. Observers believe this is perhaps better since a properly elected and representative government would have had to listen to too many cooks and ultimately the sauce would have turned sour. Leterme keeps trying to form a government. He would like a coalition government bringing together the affluent Dutch-speaking northern region of Flanders and the poorer French-speaking Wallonia in the south. Let all parties agree that the name Paul picks will be the next prime minister. Better to have an octopus-selected PM than to run a nation with acting PMs for years. Let us stay for a moment in Europe. 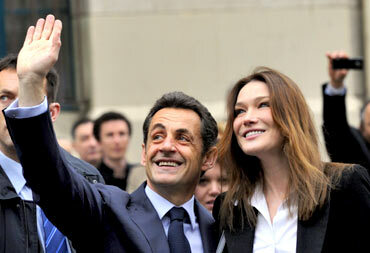 President Nicolas Sarkozy of France is in a dilemma. Should he kick out Labour Minister Eric Woerth who has presumably been involved in financial dealings with L'Oreal heiress Liliane Bettencourt? Rightly or wrongly, Woerth, the chief fundraiser for Sarkozy's party, is accused of accepting 50,000 euros ('peanuts', Indian politicians will say) for an electoral campaign. Unfortunately, Sarko's popularity ratings is going down by the day. Dumping Woerth could certainly improve his chances in future elections, but it is a difficult decision to take. Monsieur Sarkozy, Paul can help you! Don't miss your chance! While in France, Paul could greatly help the nation by selecting the next football national team. We all know the miserable performance of Raymond Domenech's players during the World Cup and the lamentable French Revolution spearheaded by some players against their mercurial coach. France had never fared so badly in a world competition in many years. 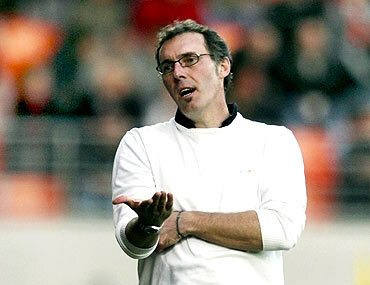 Coach Laurent Blanc (a member of the 1998 World Cup-winning team) has now taken over from Domenech, the most hated person in the Land of Asterix. Who should be selected to take France to its true place in the FIFA rankings? It is a difficult question which could easily be solved by Paul provided that the names of Nicolas Anelka, Patrick Evra and William Gallas are not in the aquarium. Economists have begun studies to determine if the Spanish victory in South Africa can save Madrid from an announced bankruptcy. 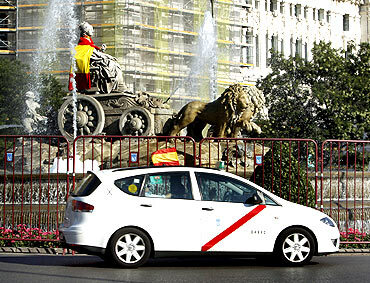 Can La Roja's exploits revive Spain's dying economy? Public deficits in Spain have reached record levels (some 11.2% of the GNP) with unemployment as high as 20%. Jos Luis Zapatero, Spain's prime minister, is in a terrible dilemma to save his country's economy. Should he further reform public spending and risk greater recession or should he borrow more from the new European fund to give the economy a new dynamism? The answer could come from infallible Paul. After all, he could certainly do this for the winner of the World Cup, the prediction which made him internationally famous. 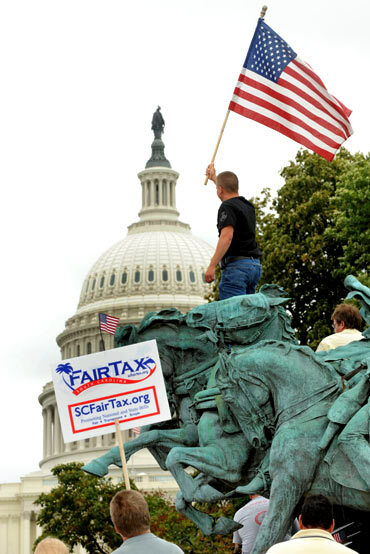 We know Barack Obama wants to reform American finance, particularly the stock markets. For this he has the European Union's support. American lawmakers recently agreed to a historic overhaul of financial regulations, giving Obama a huge policy victory on the eve of the G20 summit devoted to financial reform. Paul could be of great help to traders speculating on winning shares. Clever traders could well start a new venture -- 'octopus cloning' -- to get richer dividends. Let us hope it won't end with thousands of small Paul look-alikes. The magic would be lost. 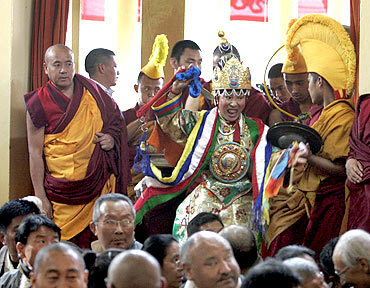 Tibetans have traditionally been the masters of the Art of Mo (or divination). The science was developed more than 2,000 years ago; long before Guru Padmasambhava, the Indian master, introduced Tantrayana on the Roof of the World. In Tibet, every lama is a bit of a diviner and possesses skills and techniques to explore the future. The most famous, like the Nechung Oracle, have been able to judiciously guide the government in Lhasa and the Dalai Lamas for centuries. Today the Tibetans have a problem: A jealous Communist leadership in China also wants to practice divination. The Communists put a few names in a golden urn and rotate it. Then they say they have found the name of the new body of a reincarnated master. As a result, we have today two Panchen Lamas. One discovered traditionally by the Dalai Lama (this Panchen Lama has been imprisoned by the Chinese for the last 15 years) and one discovered by the Communists in Beijing. Why not ask Paul? He will certainly tell us that an atheist government which believes that religion is poison is wrong in its choice. Will the Communist Party of China dare ask Paul? 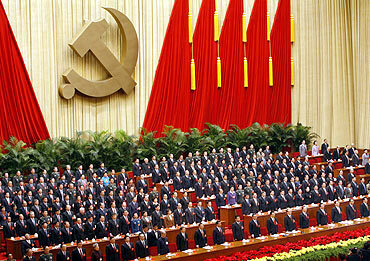 In late 2012, China will witness a major leadership change during the 18th National Congress of the Chinese Communist Party. Its present leaders -- President Hu Jintao, Premier Wen Jiabao and Chairman of the National People's Congress Wu Bangguo -- will retire. The powerful Standing Committee of the Politburo will have seven new faces (its present strength is 9). The process is said the most opaque in the world (it is clearer in North Korea where the Son always succeeds a Dear Leader). One way to bring some transparency ('glasnost' in Russian) would be to invite Paul to the Great Hall of People in Zhongnanhai, the exclusive enclave where the Communist leadership lives and ask our dear octopus to select 7 new members for the Standing Committee and some 20 names for the Politburo. It would go a long way in restoring the confidence of the Chinese people in the Party. Paul could, of course, have tremendous success in India. He could decide India's foreign policy or determine the perception threat for the defence forces or even select 126 medium multi-role combat aircraft for the Indian Air Force. But it is in cricket that Paul's talents could be outsourced in the most efficient way. 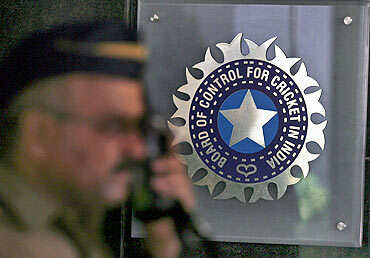 Instead of having Cabinet ministers, ministers of state and their relatives or girlfriends sweat to form a good IPL team, let the BCCI assign the job to Paul who will do it free of cost and be absolutely impartial (octopuses do not eat bank notes). The quality of the game could really improve and we could even see some Pakistani participation (good for the MEA's 'soft' diplomacy). 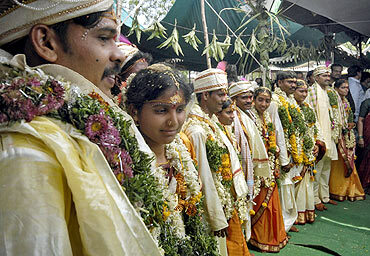 Finally, I have to mention a topic which weighs upon each and every mother and father in India: Match-making. Of course, here the demand will be so great that cloned octopuses may have to be used. But once everyone is convinced that these mollusks can't fail in finding the right match, it will be a huge success. One problem though: How will the khap panchayats react? But nothing can stop globalisation. The outsourcing to octopuses is a sure thing.